Well, it’s been an extremely busy winter AND spring at Glandore and we are, in so many ways, happy to be back in the routine of customers in the gallery and guests in the apartments. 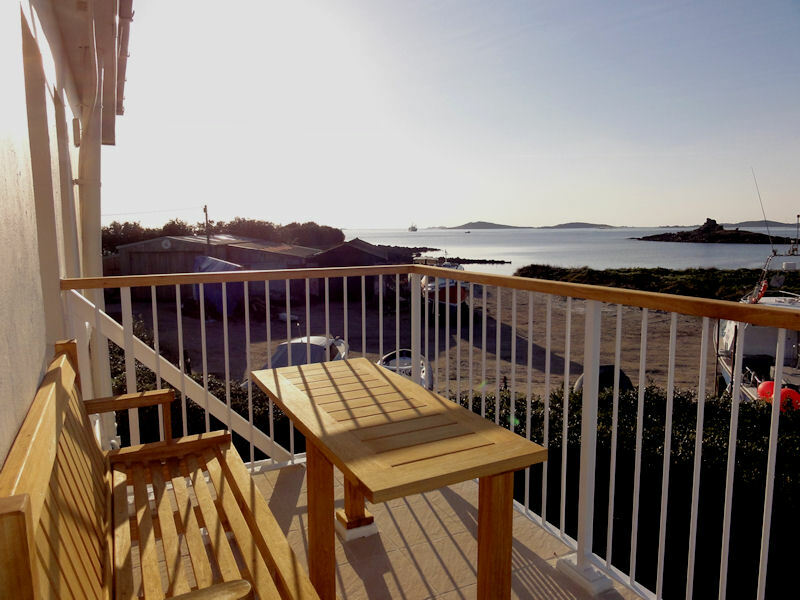 Steve has been so busy with the balcony construction that he’s had no time to paint on Scilly at all this winter and only managed to fit in the occasional day on trips to the mainland. 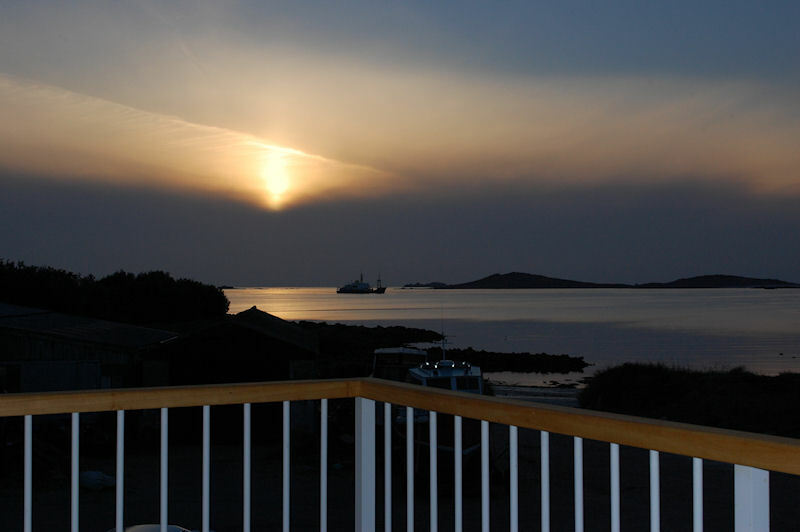 This one was taken on the balcony itself showing the view across to Samson. Apologies for the rather bleached sky but the sun was very bright and warm on the balcony, shining almost straight into the camera. I should have taken a glass of wine up and sat down to enjoy it while I was there! Finally, there was a wonderful soft-focus sunset in the evening – a peachy pink watercolour sky and mirrored sea – just beautiful. 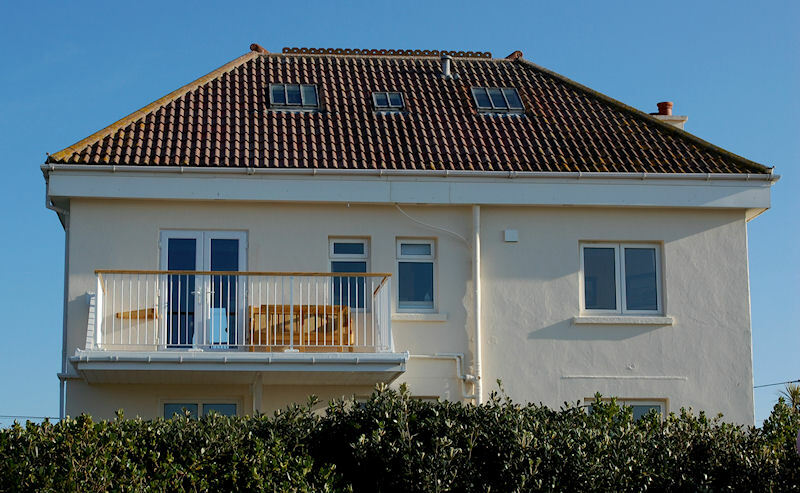 Taken from the balcony, this image really shows what a fabulous addition the balcony has been to our Golden Eagle apartment and what our lucky guests have to look forward to this summer and in the future. 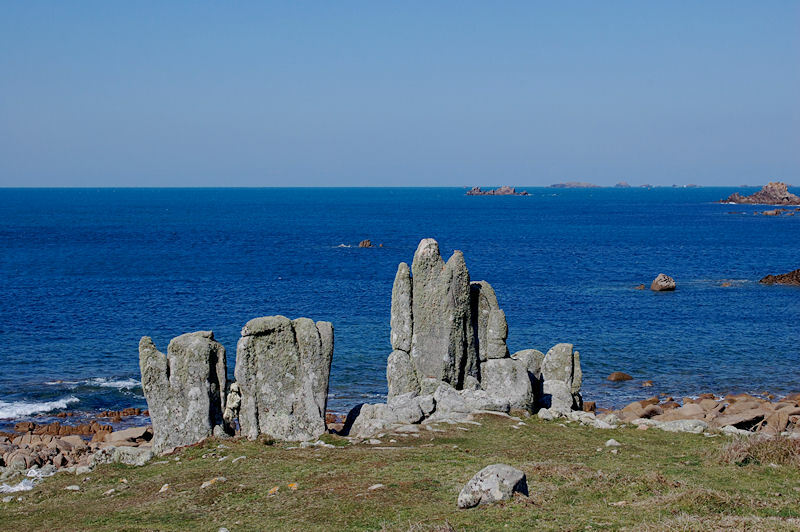 Last week, we spent a day on St. Agnes with Joy which necessitated closing the Gallery for the day and putting up notices of apology to any prospective customers. The weather was clear and sunny but the wind was very cold so we had a chilly trip across on Meridian with Jeremy. We took a picnic lunch and, after fighting the wind around Wingletang Downs, we found a spot out of the wind to eat it. Steve managed to do an acrylic ink sketch while we went on the beach and enjoyed a paddle (Joy) and some photography and beachcoming (Lois). We also treated ourselves to delicious icecream from Troytown Farm. The crisp spring sunshine made all the colours really vibrant and the sea sparkle. 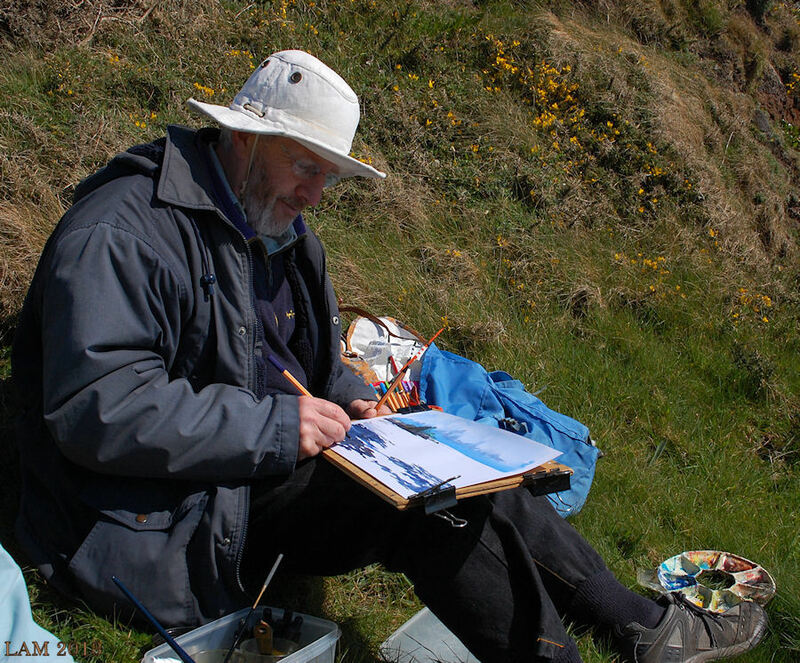 It was a lovely day to paint and take photographs.